Chet Chauhan, Vice President Product Management at Salesforce outlined the Customer Success Platform in his keynote, underlining Salesforce’s vision and fundamentals, proceeded by David Hicks and Paul Hendriks who spoke on Innovating CX, and Planning for Digital Transformation respectively. A session on clienteling followed, explaining how blue-infinity partners with customers to innovate CX in retail. From the AR showcase delivered for luxury watch brand Hublot, to Chopard clienteling applications, blue-infinity Linked by Isobar has helped perfect the relationship between buyers and sellers, helping increase the potential of Sales Associates across different industries, and aiding in managing the brand experience, also in B2B retail execution. Enrico Zelocchi, Salesforce Strategy and Solutions Expert, blue-infinity Linked by Isobar, then led a session on how companies transform their digital ecosystem. He shared the case of GAVI Alliance, helping them to transform their existing internal platforms to digitally innovative tools, and better manage resources in their mission of saving children’s lives and protecting people’s health. The packed audience contributed to a high level of interaction and new thinking. 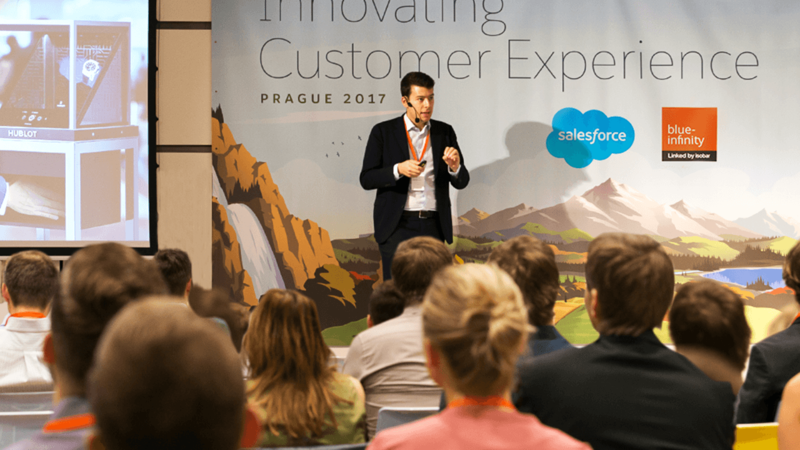 Parallel workshops and expert lounges helped address key pain points in Customer Experience, such as Journey Mapping, Marketing Automation in B2B and topic of the moment, GDPR. “With less than 7 months until the GDPR deadline, it's important to uncover risks and take action,” says Daniel Urminsky, Digital Practice Manager, blue-infinity Linked by Isobar. Delegates benefited from a broad range of sessions that covered transverse subjects. Breakout workshops allowed closer engagement between clients and experts who could address challenges directly, and one-to-one sessions allowed the participants to cover topics in depth. “Our aim was to empower delegates to go back to their companies with ideas and concrete implementation examples, and benefit from various experts who took the time to advise and help them in their way forward,” concluded Daniel Urminsky.